Supplier & Manufacturer of Garments Metal Detector. Our product range also comprises of Metal Detectors, Pipeline Metal Detector and Confectionery Metal Detector. We offer these Garments Metal Detector to our valuable clients at competitive market rates. We are recognized as one of the leading manufacturers, suppliers, and exporters of a wide range of Garments Metal Detector. The Garments Metal Detectors offered by us is required for metal detecting operation for products like garments, home furnishing items etc. We offer these Garments Metal Detector to our clients at competitive market rates. Mentioned prices are standard prices & may vary as per the requirement. We are a well-known Home Furnishing Needle Detector Manufacturer, Supplier and, Exporter from Maharashtra. Using our state of the art infrastructure and graded mild steel, we manufacture reliable and durable Home Furnishing Products Needle Detectors. These Needle Detectors are highly sensitive and detect the presence of even the smallest needle present in Home Furnishing Products. Our company has the capability to manufacture and store bulk quantities of this product, which help us meet the urgent requirements of clients. We make sure that Home Furnishing Products Needle Detectors are safely packed and dispatched for delivery in a timely manner. 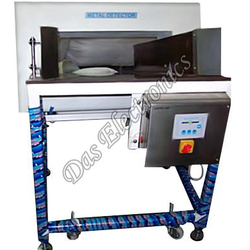 Backed with rich industry experience, we are offering the best quality Textile Metal Detector. 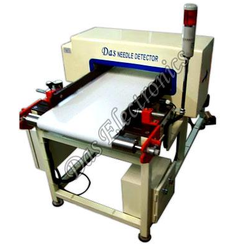 We are one of the top-notch Textile Industry Metal Detector Manufacturers, Suppliers and, Exporters in Maharashtra. Available in different models, our Textile Industry Metal Detector comes with audio and visual indication facility on needle detection. Also, it features automatic balancing and dual channel operations. The Textile Industry Metal Detector is further acclaimed for its high sensitivity, accurate detection, reliability and, durability. 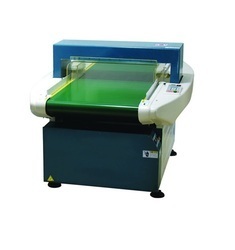 Our Textile Industry Metal Detector is made with graded raw material and with a high degree of precision. 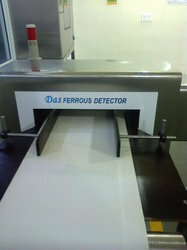 Customers can buy Textile Industry Metal Detectors from us at very reasonable prices. Model-FMD (Ferrous Metal Detection)-Detects Needle in metalized (Al Or CU) Zip packaging.